Coconut oil is the cheapest as well as the most effective natural ingredient that goes deep into the hair shafts, makes them stronger and adds great shine to them easily. Slather your dry hair in coconut oil before going to bed and let it coat every single strand from the root to the tip. Comb through your hair so that it gets distributed evenly and braid it up. In the morning, shampoo twice to remove the trace of oil and reveal smooth, shiny locks. Replace coconut oil with some pure extra virgin olive oil and change your dry damaged hair into soft, shiny and gorgeous one overnight. Apply a very little amount of the oil to your dry hair focusing on the ends and avoiding the scalp. Wrap it with a cotton cloth or simply a thin towel and leave for the whole night. Next morning, wash off thoroughly with a shampoo. 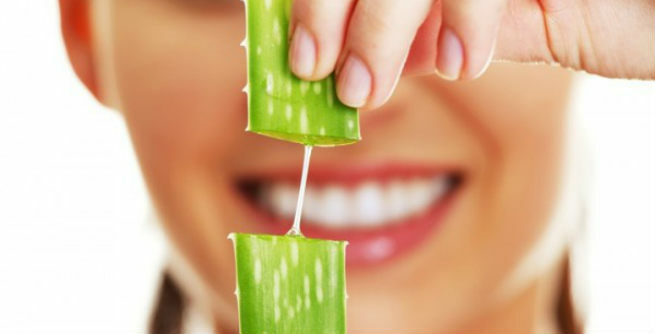 Aloe vera is not only good for our skin, but it is also great for our hair. An aloe vera mask can make your hair look gleaming and that too overnight. Simply take the extract out from a couple of fresh aloe vera leaves and apply it all over your hair. You can also blend it with some plain yogurt and use it as a good hair mask. Put on a shower cap and let the mask sit on your scalp for the whole night. Wash off with lukewarm water in the morning. Avocado is known to add wonderful shine to our hair along with providing it utmost nourishment as well as hydration. It works even better when combined with egg yolk. So, make a hair mask by mixing half portion of a mashed ripe avocado with an egg yolk and apply it to your hair thoroughly. Turn it into a tight topknot and wear a shower cap. In the morning, wash off with a shampoo. Beer is full of proteins and vitamin B, which help in making the hair follicles stronger and keeping the cuticles on the scalp closed, thereby retaining the maximum shine of the locks. So, give your hair a decent rinse with a thick beer, make a tight bun of it and go to sleep by putting a shower cap on. Wash off with a shampoo in the morning and condition lightly. Always use a sulfate-free shampoo, while washing the mask off your hair in the morning. Regular shampoos are loaded with sulfates, which remove natural oils from our locks and dry them out to a large extent. Switching to their sulfate-free version would help you restore the natural shine of your hair fast. Choose a good deep conditioning treatment available commercially for getting glossy hair overnight. It will hydrate your highly damaged, chemically-processed hair intensely and provide it ultra-nourishment, thereby giving its natural shine a significant boost. Ditch your cotton pillow cases and switch to the satin ones. It will make your locks smother and shinier by preventing static, while the first one can dry them out considerably.